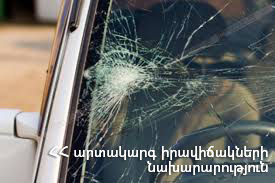 On April 12, at 09:29 an emergency call was received to “911” service that a running-down accident had occurred near “Yerevan City” supermarket in Rubinyants street, Yerevan. The rescuers’ help was needed. It turned out that “Opel Corsa” car had hit a citizen, who died on the spot.